No. 1 for London airport transfers, cruise transfers and sightseeing trips. LDN Transfers is an experienced and highly professional chauffeur company that provides transport in London and the surrounding cities. 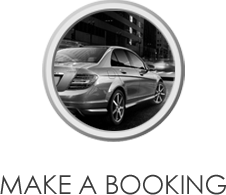 We only use the most recent luxury Mercedes vehicles on the market and offer extremely competitive prices. Our clients range from business executives to private individuals. Whether you need to attend a meeting, be picked up from the airport or head off on a cruise, we offer a professional, reliable, and friendly chauffeur-driven car hire service which aims to get you to your destination in style and most importantly, on time. Our highest priority is to ensure that our customers are completely satisfied with the service we provide. We will ensure you have every confidence in us from the initial quote though to your final journey. You will find that we are willing to go the extra mile to ensure that your journey is as safe and as effortless as possible. You can rest assured knowing that all our staff are professional, dedicated and efficient. "Just like to say a BIG thank you to our driver this morning, Antony did a fantastic job and was very helpful and knowledgeable. Made the start of our first trip to UK very memorable and everything went so smoothly." "Dear LDN Transfers, Thank you for the prompt, courteous and professional service that your associates provided to myself and several of my friends last week. 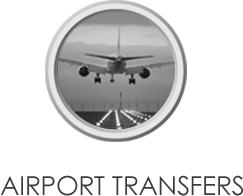 You provided transfers from Heathrow Airport to Dorchester hotel. Fantastic service!" "Thank you very much for supplying a transfer service for my husband and brother . The driver was so polite and professional." "I found out about your service through the AOL European Travel - London message boards, and I will be sure to post a very positive message about your service for future travelers. Thanks again!" "Several months have passed since you provided transportation from Euston station to Gatwick for my guests Fred & Jess Schmitt. I have been away on business for the past month otherwise I would have contacted you sooner to offer my thanks for your services." "Thank you for meeting us at Heathrow and taking us to the Hilton Hotel. We enjoyed your tour! Our London visit was wonderful! Our return ride to the airport was also a pleasure. 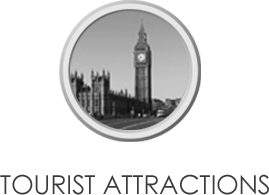 You are a great professional and we are recommending you to all who travel to the UK!" "Thank you for the service provided by your driver toady from Heathrow to st. Pancras the driver was very professional and take no time to get to St. Pancras. We wanted to thank you again for your kindness and professionalism." "I went into the Travel Board that we had told you about to relay our experiences, and I noticed another postings that was from people who you had transferred from Vermont. Again, your "fame continues"!! I am sure this message board will continue to bring you new and very satisfied customers." "Just a note of thanks to express my appreciation for the good experience I had with your service. The info you provided while I got to my destination was great. Your service will be recommended highly."